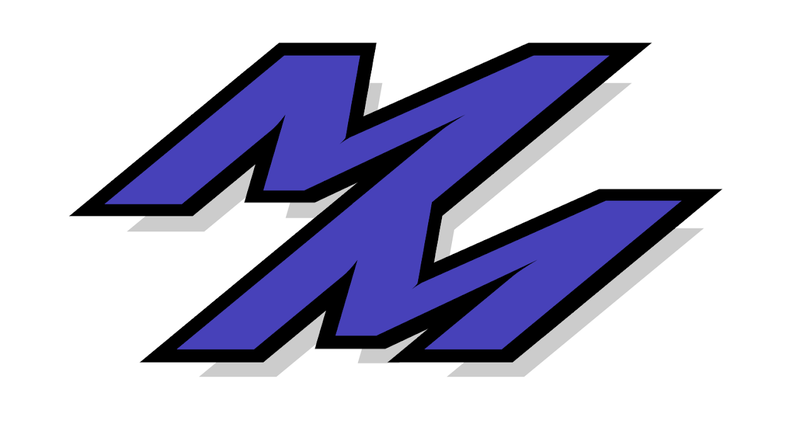 Since the accident, I have been thinking over long and hard what my next project will be. For now, I decided to take a co-drive with my friend Sal in his 1.6 Litre NA Miata and give it a shot. I wanted to compare it to the Miata I drove at National Tour in New York and see if a Miata would be a fun project car. The course had some great features to it, especially with the slalom and then straight into the chicago box section. There were various things I could have done to drive faster, as I am definitely not used to a car that uses momentum to get around and not have to brake as hard. 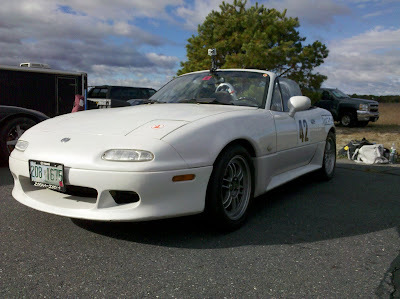 It was a fun learning experience to say the least, but after the event I felt as though a NA Miata would not be for me. Perhaps as a side project for fun, but not as my main project build. Below is my fastest run of the day with a 1'20, with the rest of the videos on my youtube channel. The final results of the event are located here. 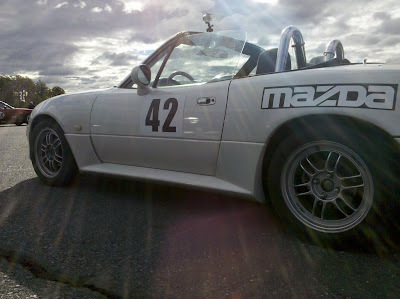 Next weekend is the last Renegade Miata event, maybe I'll see if I can co-drive a different car. Perhaps a S2000..?